Prostate problems and Erectile dysfunction. Prevention of Ilness and Promotion of Health is our motto. We work with our patients to prevent chronic disease. We focus on accurate the diagnosis of infective & non infective illnesses in adult patients. We understand the importance of timely diagnosis and cost effective treatment. LEADING THE FUTURE OF PRIMARY CARE - Experience you can trust! 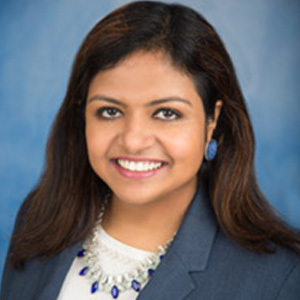 Dr Gorthi is a board certified internist with over 14 years of experience in both outpatient and inpatient settings .She graduated from Madras Medical College, India in 2003 and completed her Internal Medicine Residency training from The University Of Alabama at Birmingham, AL .Thereafter she practiced for 3 years as a hospitalist at Baptist Health System in Montgomery. Her contributions to inpatient care and hospital medicine were recognized by the Society of Hospital Medicine and she was awarded the Fellowship in Hospital Medicine(FHM). During her training she also received “Excellence in Geriatric Care Award” by Emory University. Atlanta. Prior to moving to Brevard County she practiced Outpatient Primary Care for several years where she built a full panel of patients working in a group practice with the area's leading HealthcareSystem.She was recognized for her quality and compassionate care and was awarded the prestigious” Fellowship of American College Of Physicians(FACP).She continues to be actively involved in the professional societies to improve the delivery of UpToDate evidence based medical care to her patients. She is passionate about preventive care and wellness and tries to keep her patients healthy to prevent hospitalizations and chronic disease. Her other interests are Geriatric care ,Women’s Health ,Hypertension ,Diabetes ,Obesity & Metabolic disease. She takes the time to listen to my concerns and is responsive to my needs. She is very thorough and polite , also seems to genuinely care about her patients and does not rush the appointment like some doctors . I would recommend dr. gorthi to anyone needing a doctor ! Great Doctor! She really took the time to talk to me and understand my concerns. I would definitely recommend Dr. Gorthi to all my friends and family. Copyright © 2019 - REVIVE MD INTERNAL MEDICINE, All Rights Reserved.